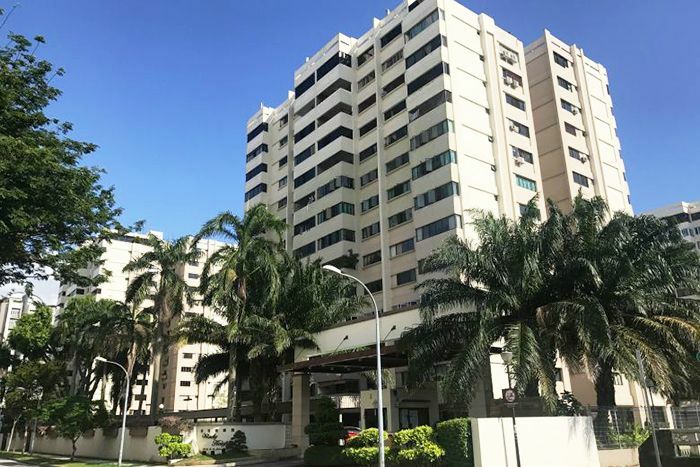 After a failed attempt at a collective sale back in April 2018, owners at Windy Heights condominium are seeking to reduce their initial reserve price in order to draw buyers’ and developers’ interest amid the introduction of ‘harsher’ property cooling measures by the Singapore government in early July 2018. In the earlier collective sale attempt (which no tenders were being lodged), Windy Heights had a reserve price for S$806.2 million. In the upcoming attempt, owners are reportedly looking to revise the reserve price to S$750 million or a per square per plot ratio (psf ppr) price of S$1,089. Windy Heights spans across a huge land area of 250,702 square feet; currently consists of 192 private residential apartments, 8 penthouses, and 2 commercial units in total. According to marketing agent Knight Frank, this freehold site can be easily redeveloped to house up to 581 new private homes (assuming each has the size of around 100 square metres). Knight Frank has also noted that new launch condo projects within the Kembangan and Bedok will likely to be very well-received due to the lack of new private home supply over the last couple of years. Under the new set of property cooling measures announced in July 2018, property developers will be obligated to fork out another 10% of Additional Buyer’s Stamp Duty (ABSD ) on top of the previous rate of 15%. To make things even more costly, 20% of the ABSD amount being paid will be non-remissible under any circumstances. As the Singapore property market is still pretty much floundered by the sudden announcement of the new property cooling measures, Windy Heights looks to weigh property developers’ appetite for land with a new price point. Other than Windy Heights, other developments such as Horizon Towers at Leonie Hill Road, Lakeside Apartments and Dalvey Court are also persisting on their collective sale attempts by extending their tender deadlines.